Why should the super-rich practice chi kung? It is simple — so that not only they will be guaranteed not to suffer from so-called incurable diseases, but also they enjoy everyday of their life. The free seminar is from 10.00 am to 12.00 noon on 23rd September 2017 at the Holistic Health Cultivation Centre in Kuala Lumpur, Malaysia. Please contact Dr Foong at drfoong@ogm.com.my or phone 012 606 6028 to reserve a place. This entry was posted in Chi Kung, Chi Kung Healing, Grandmaster Wong Kiew Kit, holistic health cultivation center, Shaolin Wahnam, Sifu Foong Tuck Meng, Sifu's pearls of wisdom and tagged chi kung, chi kung healing, Grandmaster Wong Kiew Kit, holistic health cultivation center, Shaolin Wahnam, Sifu Foong Tuck Meng on September 19, 2017 by Wei Joo Lee. The Holistic Health Cultivation Centre, Kuala Lumpur, Malaysia, which has an outstanding record of helping people overcome so-called incurable diseases conducted an Introductory Chi Kung Course from 11th June to 15th June 2015. 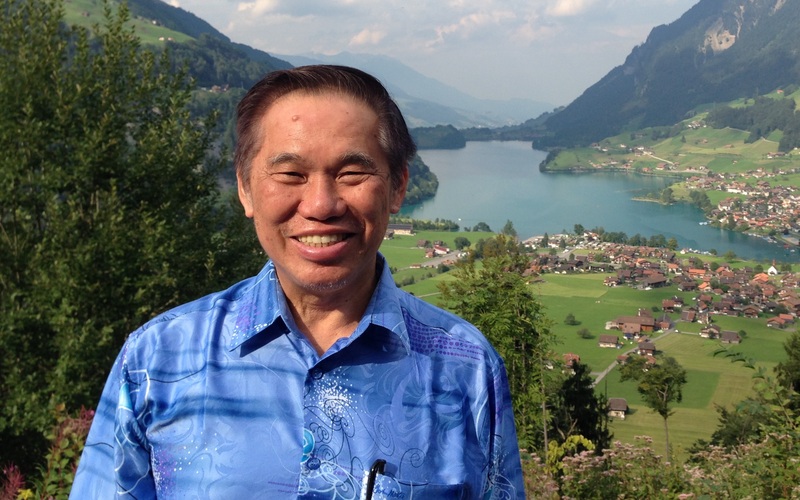 The course was taught by Sifu Dr Foong Tuck Meng and Sifu Wong Chun Nga. As a matter of course, students who daily and correctly practice the exercises taught at the course will overcome their illness if they are sick, or will prevent illness happening if they are already healthy. Students should choose the right techniques and practice at the right level to attain their aim of overcoming illness or maintaining good health. Grandmaster Wong explained the difference between “as a matter of course” and “as a matter of fact”. If a person drove on an expressway from Kuala Lumpur to Singapore, arriving at Singapore was a matter of course. But as a matter of fact, he might not arrive, if, for example, he stopped half way or turned off to other roads. If a practitioner practiced at a higher level, i.e. if his chi kung was too powerful, he might harm himself. It was like, Grandmaster Wong explained, asking an untrained person to run a marathon or lift heavy weights. Hence, practitioners who wished to overcome or prevent illness must not practice at a high level even when they had the knowledge and ability to do so. It was the same in daily life. One must chose the best method and operate it at an appropriate way that fulfilled his needs. During a graduation dinner on 14th June 2015 of the Introductory Chi Kung Course conducted by Holistic Health Cultivation Centre which has an outstanding record of helping people overcome so-call incurable diseases, many people gave speeches of gratitude for overcoming their so-called incurable diseases. Grandmaster Wong concluded the speech giving session assuring that those with so-called incurable diseases would overcome their illness as a matter of course if they practiced what they had learned at the course, and mentioning that the speeches of those who had overcome their so-called incurable diseases were a great inspiration to all of us. This entry was posted in cancer, Chi Kung, Chi Kung Healing, diabetes, graduation dinner, Grandmaster Wong Kiew Kit, holistic health cultivation center, introductory course, overcoming illness, Shaolin Wahnam, Sifu Foong Tuck Meng, Sifu Wong Chun Nga and tagged cancer, chi flow, chi kung, chi kung healing, diabetes, endometriosis, graduation dinner, Grandmaster Wong Kiew Kit, Holistc Health Cultivation Center, hypertension, kidneys, overcoming illness, Qigong, Shaolin Wahnam, Sifu Foong Tuck Meng, Sifu Wong Chun Nga, stress relief on August 6, 2015 by Wei Joo Lee. This was the graduation dinner of an Introductory Chi Kung Course on 14th June 2015 organized by Holistic Health Cultivation Centre which has an outstanding record of helping people overcome their so-call incurable diseases. This entry was posted in cancer, Chi Kung, Chi Kung Healing, diabetes, graduation dinner, Grandmaster Wong Kiew Kit, holistic health cultivation center, introductory course, overcoming illness, Shaolin Wahnam, Sifu Foong Tuck Meng, Sifu Wong Chun Nga and tagged cancer, chi flow, chi kung, chi kung healing, diabetes, endometriosis, graduation dinner, Grandmaster Wong Kiew Kit, Holistc Health Cultivation Center, hypertension, kidneys, overcoming illness, Qigong, Shaolin Wahnam, Sifu Foong Tuck Meng, Sifu Wong Chun Nga, stress relief on July 24, 2015 by Wei Joo Lee. 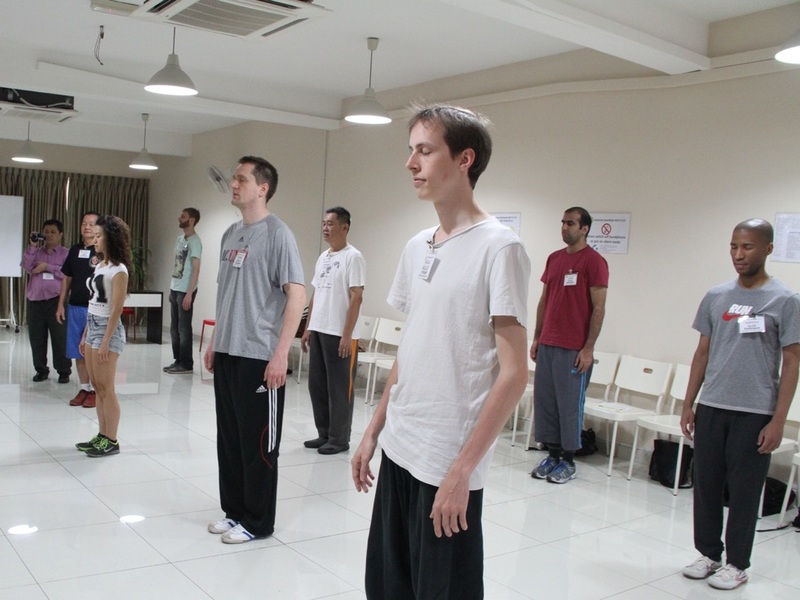 This is Day 3 of an Introductory Chi Kung Course from 11th to 15th June 2015 conducted by Holistic Health Cultivation Centre which has an outstanding record of helping people overcome their so-call incurable diseases. 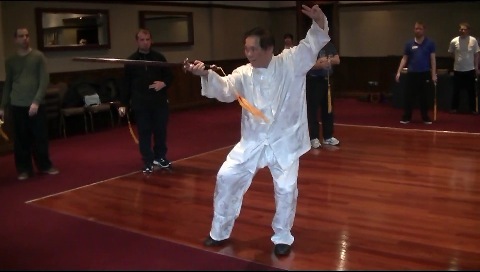 This entry was posted in cancer, Chi Kung, Chi Kung Healing, diabetes, Grandmaster Wong Kiew Kit, holistic health cultivation center, Shaolin Wahnam, Sifu Foong Tuck Meng, Sifu Wong Chun Nga and tagged cancer, chi flow, chi kung, chi kung healing, Crohn's disease, diabetes, endometriosis, Grandmaster Wong Kiew Kit, Holistc Health Cultivation Center, overcoming illness, Qigong, Shaolin Wahnam, Sifu Foong Tuck Meng, Sifu Wong Chun Nga on July 8, 2015 by Wei Joo Lee. This is Day 2 of an Introductory Chi Kung Course from 11th to 15th June 2015 conducted by Holistic Health Cultivation Centre which has an outstanding record of helping people overcome their so-call incurable diseases. This entry was posted in cancer, chi flow, Chi Kung, Chi Kung Healing, diabetes, Endometriosis, Grandmaster Wong Kiew Kit, health, high blood pressure, holistic health cultivation center, hyperension, kidneys, overcoming illness, Sifu Foong Tuck Meng, Sifu Wong Chun Nga, stress relief and tagged cancer, chi flow, chi kung, chi kung healing, diabetes, endometriosis, Grandmaster Wong Kiew Kit, health, high blood pressure, Holistc Health Cultivation Center, hypertension, kidneys, overcoming illness, Qigong, Shaolin, Shaolin Wahnam, Sifu Foong Tuck Meng, Sifu Wong Chun Nga, stress relief on June 25, 2015 by Wei Joo Lee. This is Day 1 of an Introductory Chi Kung Course from 11th to 15th June 2015 conducted by Holistic Health Cultivation Centre which has an outstanding record of helping people overcome their so-call incurable diseases. This entry was posted in cancer, Chi Kung, Chi Kung Healing, diabetes, Grandmaster Wong Kiew Kit, holistic health cultivation center, introductory course, overcoming illness, Shaolin Wahnam, Sifu Foong Tuck Meng, Sifu Wong Chun Nga and tagged cancer, chi flow, chi kung, chi kung healing, diabetes, endometriosis, Grandmaster Wong Kiew Kit, Holistc Health Cultivation Center, hypertension, kidneys, overcoming illness, Qigong, Shaolin Wahnam, Sifu Foong Tuck Meng, Sifu Wong Chun Nga, stress relief on June 19, 2015 by Wei Joo Lee.